It is easy to find pictures in the Internet, but it is also possible to create one's own images. You can make your own photos or drawings and add them to your website. Here is a selection of 10 easy-to-use and totally free online tools that will allow you to modify your creations the way you want. To improve the visibility of your website and get more original, you have to modify your website, and choose the right illustrations. That's why we have just listed for you the best online image banks in our last article. Creating your own images will nevertheless make you even more original. Pixlr is pretty much like Photoshop. It includes most of the tools that we can find in Photoshop: Eraser, Lasso, Clone... You can also add layers and filters. Picmonkey is one of the most popular photo editor. It is very recreational and intuitive. Some of its options must be paid for. Pizap allows you to add funny stickers to your photos in order to make funny portraits of your friends for example. Befunky is a very simple and quick tool that offers you many options and allows you to share your creations on social media. 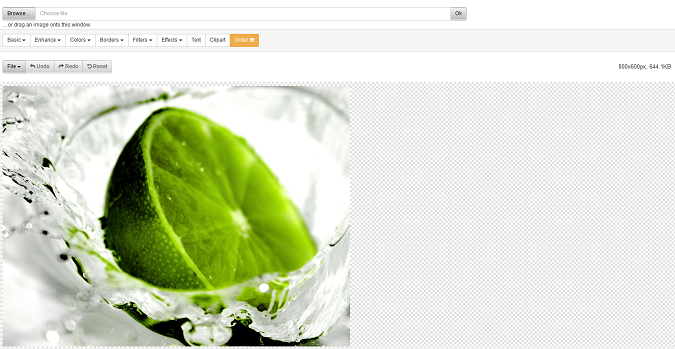 FreeOnlinePhotoEditor is a very comprehensive tool despite a sad-looking interface. Ipiccy offers you the usual tools as well as some innovative effects such as Retro comic or Pop art. You won't have to sign up to enjoy all the features. Lunapic offers a wide range of options including many animations. This tool is moreover totally free and particularly quick. 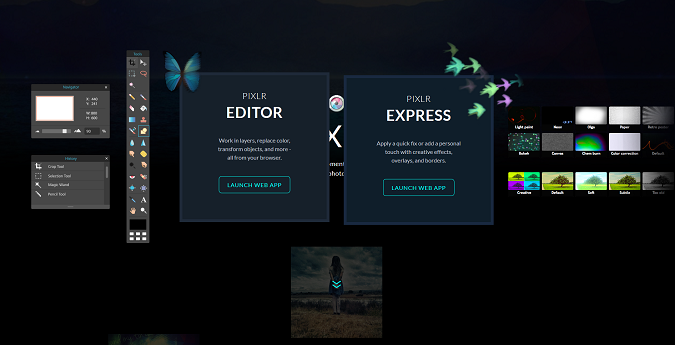 Fotoflexer offers you many tools (layers, stickers, animations...). It is easy to use and you can add some effects, touch-ups and decorations. You can load your photos from your computer or from applications, such as Facebook, Flickr or Picasa. Adobe Photoshop Express Editor is the online version of the famous software. It will allow you to use the usual tools and to add some decoration effects too. You'll be able to create a free account in order to store your images online.